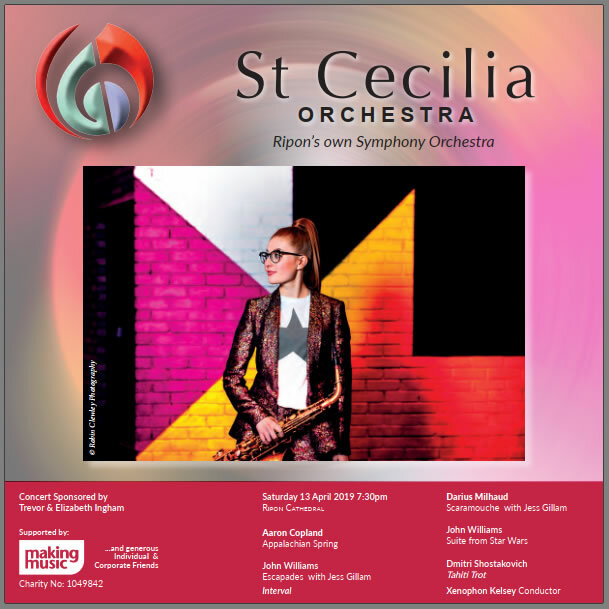 Star saxophonist Jess Gillam joins StCO for a wonderful concert of popular film music, featuring "Escapades" by John Williams and Darius Milhaud's "Scaramouche". Copland's Appalachian Spring, Williams' Star Wars Suite and Shostakovich's Tahiti Trot complete the programme. Ticket prices tba. Tickets available online (via the link above or visit www.st-cecilia.org.uk) Other ticket outlets: Little Ripon Bookshop, Westgate; Henry Roberts Books, The Arcade.